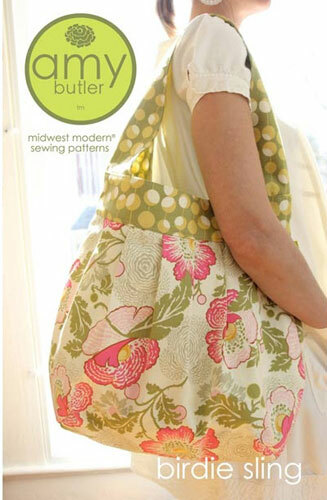 Amy Butler..and a desire to make my own purse. I really want to learn how to make a purse now. 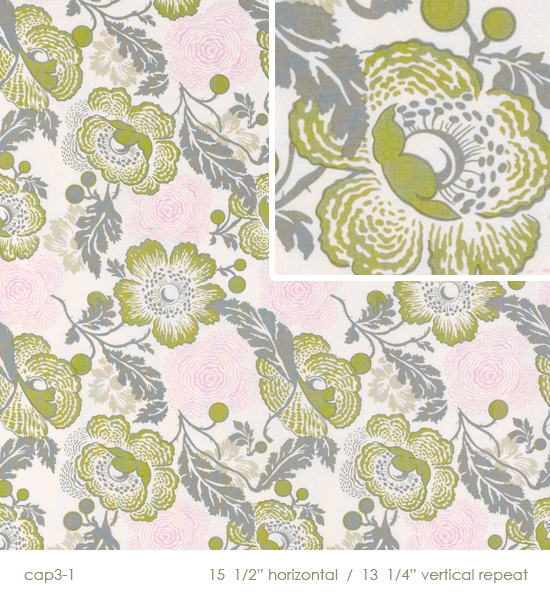 Nothing really complicated but reading patterns isn’t something I am so great at. So I may end up needing to get some help on this one though. The one I want to make is called the “birdie sling” and it has a few pleats and I have never done those before either. So let’s see if I can conquer the fear..but first gotta decide on the fabric. I need a fabric for the top and the bottom, and the liner..I am thinking the first one for the top the next one for the body of the purse, and the last one for the liner. 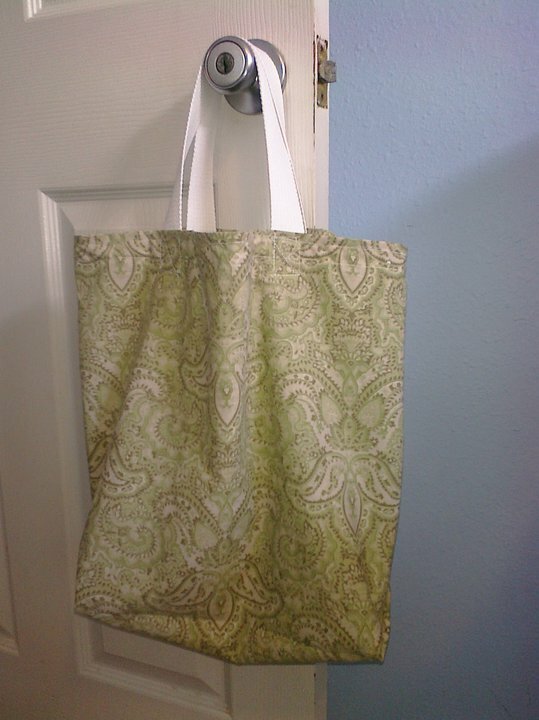 Thanks to the “Wisdom of the Moon” blog I have finally made my first grocery bag!! She had a tutorial on her page that explained everything and made it really simple. I have just started teaching myself how to sew on my own and even I could understand it. I am excited about all of the different types of bags I can make now that I have mastered this one. I also love that they will all match and without spending a ton of money, and that you are re-purposing fabric from old sheets bought at the thrift store!!! Go Greeeeeen! Just finished some more cards for Hospice..and remembered last minute to scan them in. I wish they would come out better when scanned, because you can’t tell how sparkly and beautiful this paper is. I love it!! I have spent the weekend going to my daughter’s Gymnastics meet which she won, and then taking her on a play date. We saw Shrek 4 and it was pretty funny, although I must confess I was without caffeine at the time and I really wanted to take a nap. I did finally get to make some bows, and cards. I found a bunch of different tutorials on even easier versions of the fabric organizing bins so I am more motivated to finally get those done as well. Typically it takes me awhile to finally figure out how I want to make the card, but today I just flew right through it all. I have to say I really like them as well the colors are bright, and sparkly..even if you can’t tell in the pictures lol! Bookmarks, and Cards, and Bows…Oh my! I made some more bookmarks because many people have asked about them. Everyone could use a bookmark! I never seem to able to find one when I need it so I plan on keeping one in my car since I tend to read the most there or while I am waiting somewhere. I also made a few more cards but I only remembered to scan one before I sealed the envelopes..whoops. I need to finish the rest of the bookmark sets, and then I am going to start making handmade card sets that go together. Then of course the Hair bows for my daughters Gymnastics teams. I think I need a coffee or a redbull to keep the motivation!! I have been trying to come up with some interesting, and fun ways to organize all of my crafty supplies. 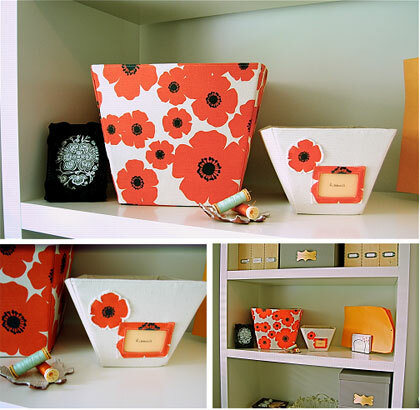 I found this cool blog athttp://www.urbannestblog.com/ , and there is a really great “green” idea for making fabric storage bins out of cereal boxes. Here is the link for the PDF with the tutorial if anyone else is interested http://urbannestblog.com/blog3/wp-content/uploads/2009/04/storage-bin-instructions1.pdf . 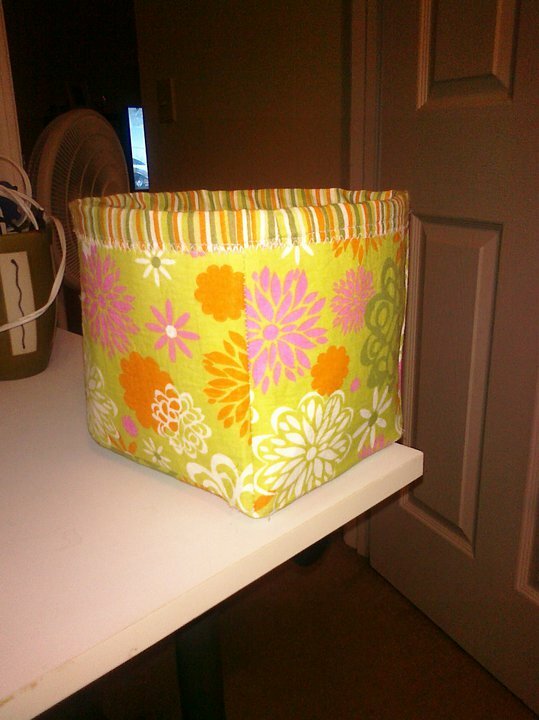 I am putting this on my list of things to do once I get enough cereal boxes together and pick out some fabrics! Here are a few more cards I have made for Hospice, next I need to work on some for my family members. I have been having Craft A.D.D. lately and have gotten some ideas of other things I want to do as well. I would like to make some reusable shopping/book bags. I also would like to make some more korker bows for my daughter and her friends, and some boutique bows as well. She really likes the bows I have such a girlie girl! I need to go to the store tomorrow and get more ribbon, papers, and glue, and a few fat quarters of fabric.